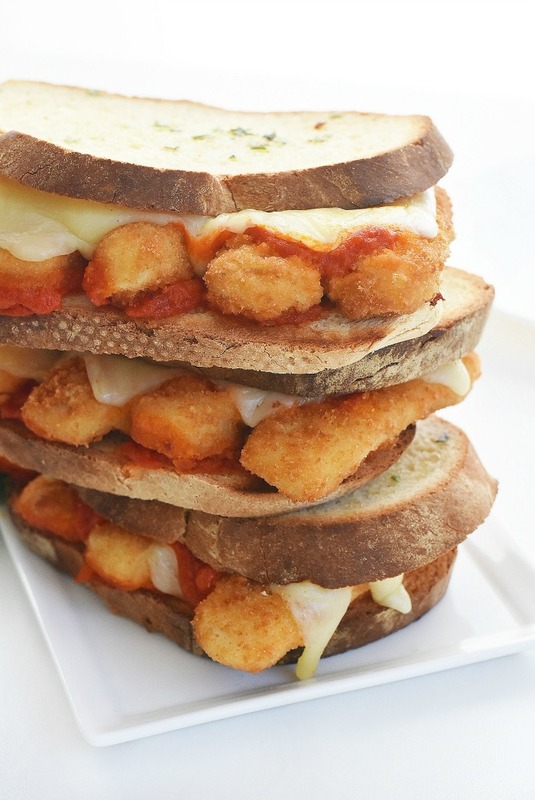 Crunchy panko coated fish sticks are nestled in-between marinara sauce and ooey, gooey mozzarella cheese. 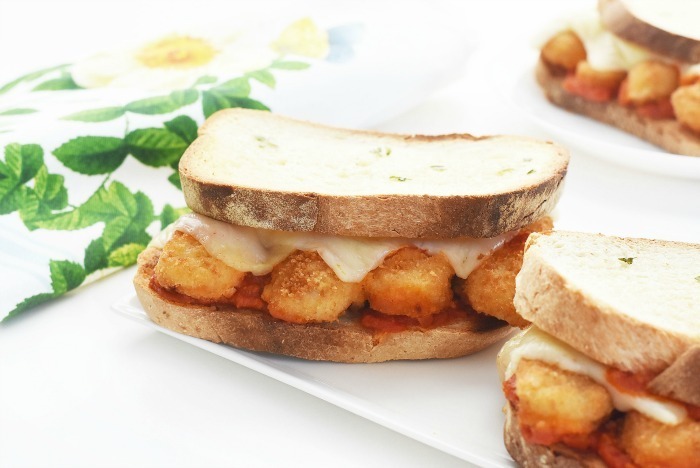 These Fish Sticks Parmesan Sandwich Melts are served on a toasted, garlic-brushed bread. This post is sponsored by Gorton’s. 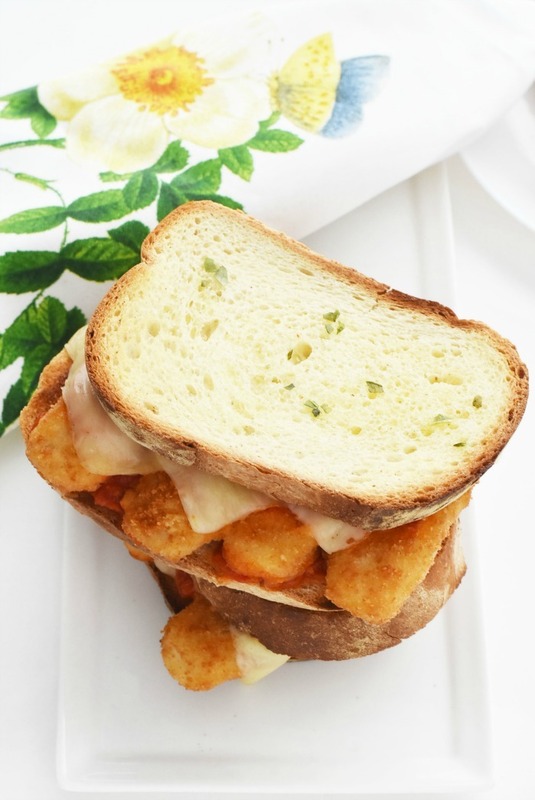 These Fish Sticks Parmesan Sandwich Melts are exactly what you need in your life for a quick lunch or dinner that your kids will love. 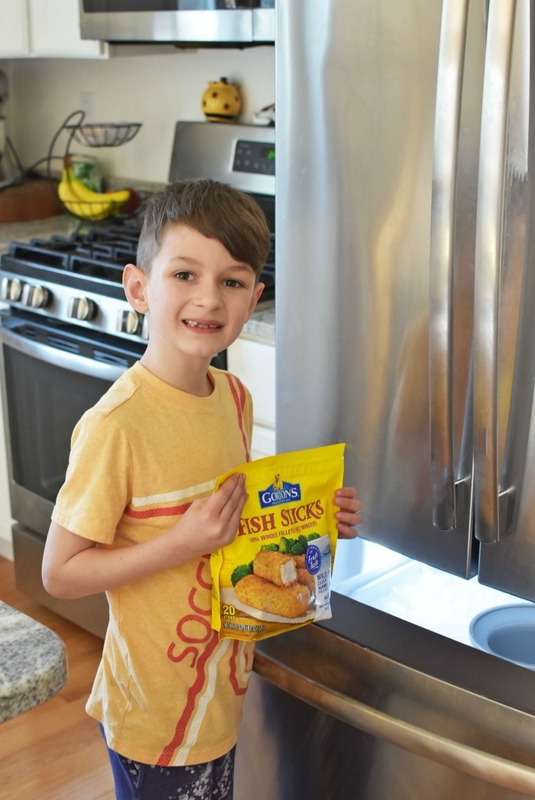 Inspired by my kid’s love for chicken parmesan, Gorton’s Golden, Crispy Panko Fish Sticks make a wonderful substitute for chicken. 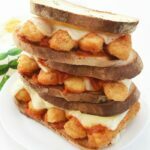 If you love the flavor of chicken parmesan then these Fish Stick Parmesan Sandwich Melts are exactly what your family needs! 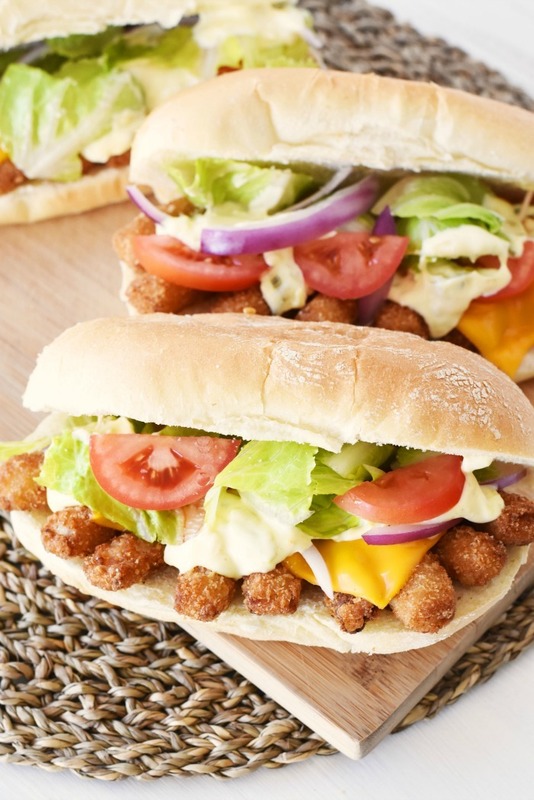 Perfect for a quick Fish Friday meal, these sandwiches are made extra flavorful with the touch of melted butter, herbs, and garlic. The best part? My kids love them! It is not often that I find a brand that my kids could eat everyday, but Gorton’s happens to be one of them! Ok, so I am not bragging, but my kids do not even waste a crumb of these newly formulated fish sticks! 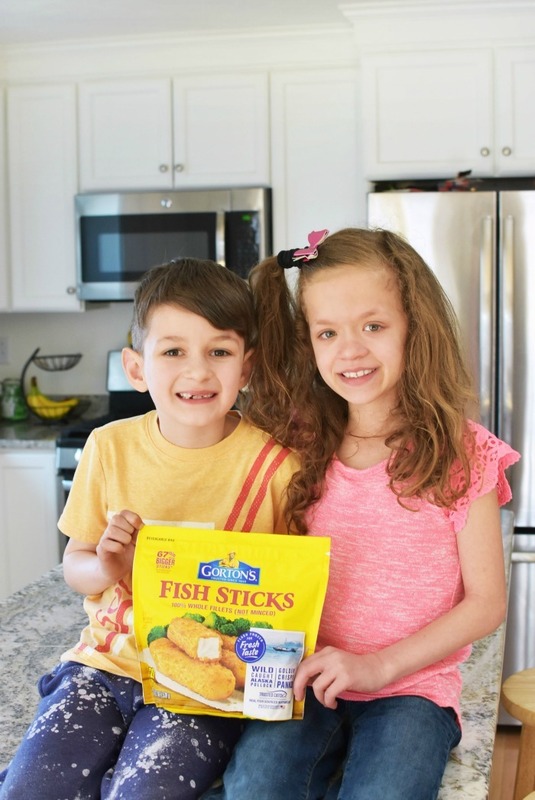 Our family loves Gorton’s Fish Sticks–both the original minced variety and the new and improved whole-fillet type. 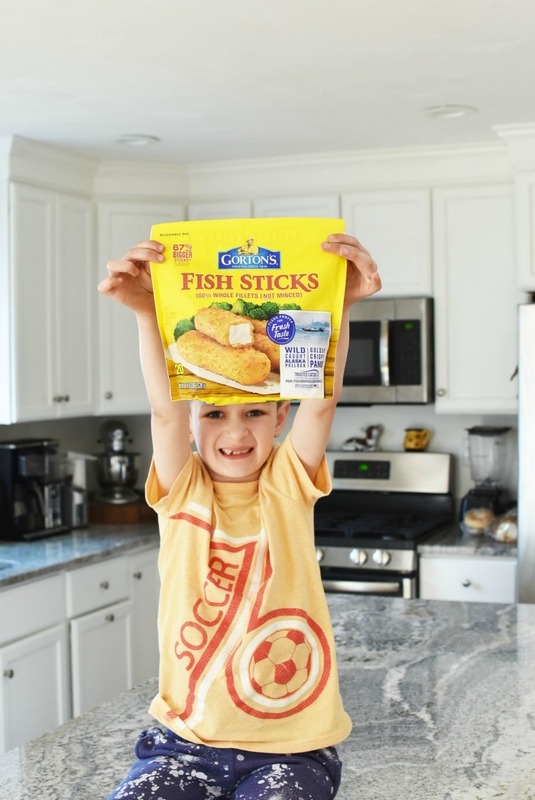 We love that the Gorton’s Golden, Crispy Panko Fish Sticks have a clean, white-meat inner that is bursting with flavor! We have always fed our kids seafood like Gorton’s Fish Sticks since they were able to eat table food. The Omega-3s in Gorton’s seafood products is super beneficial for little growing brains (and big ones too). In fact, eating fish 1-2 per week is the perfect way to incorporate these essential fatty acids into your family’s diets. These new fish sticks are made with wild-caught Alaska Pollock that is sustainably sourced. They are flash-frozen at the peak of freshness and contain no artificial additives, preservatives, or flavors. Our kids love to dip their fish sticks in sauce even though they are so good and do not *really* need any. We even shared some Fish Sticks Sauce ideas last week. You will want to check out that post because it is loaded with tasty dipping inspiration. 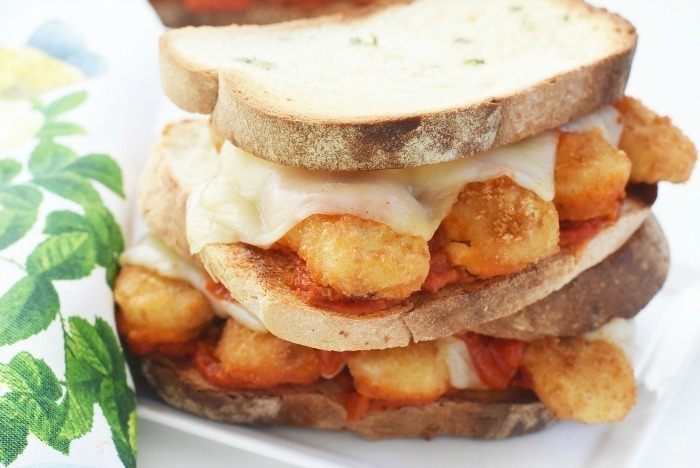 These Fish Sticks Parmesan Sandwiches are so easy to make too! Check out below for the printable recipe and all the ingredients you will need to make these bursting with flavor melts. 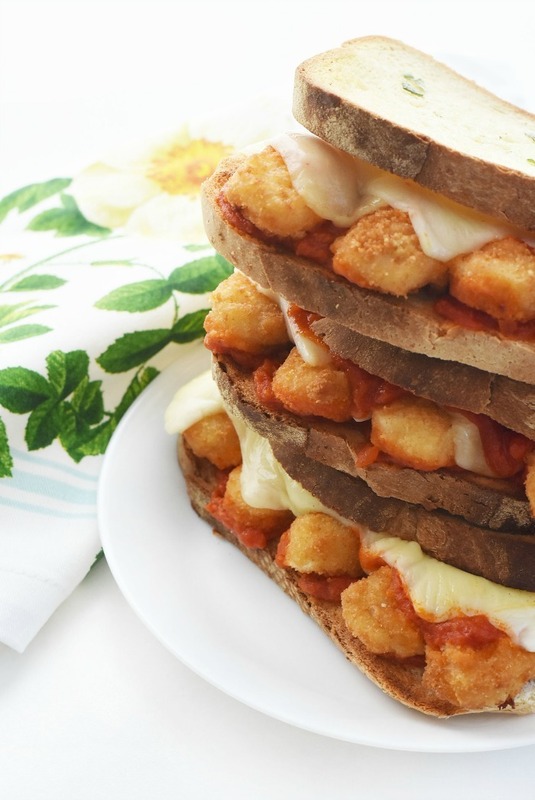 This recipe makes 5 sandwiches so you will need the entire bag of Gorton’s Golden, Crispy Panko Fish Sticks. 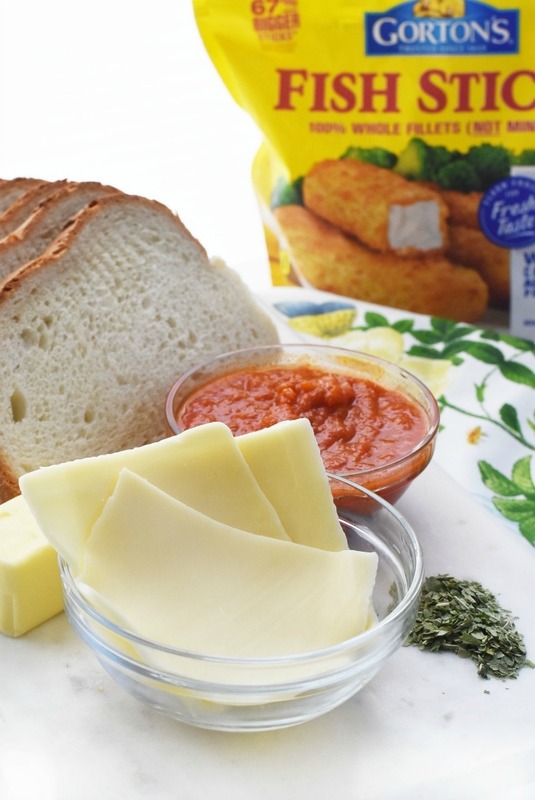 Additionally, you could also use another one of Gorton’s Classic breaded fish products as the fish component. This cheesy melt is made even more delicious because I toasted the artisan slice bread and made it garlic bread on both sides. To do this, I melted 3 tablespoons of butter and then added garlic powder, and Italian herbs to the dish. I mixed it well, and brushed on the buttery mixture to each side of the bread. I lined my baking sheet with foil and toasted each side for 3-5 minutes until crispy/golden. 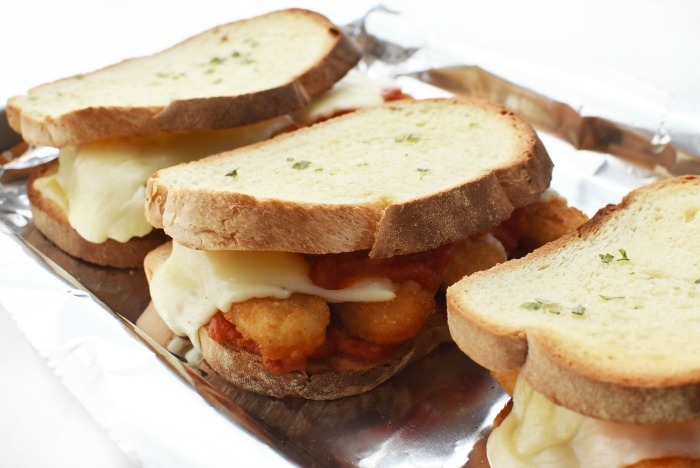 Crunchy panko coated fish sticks are nestled in-between marinara sauce and ooey, gooey mozzarella cheese. 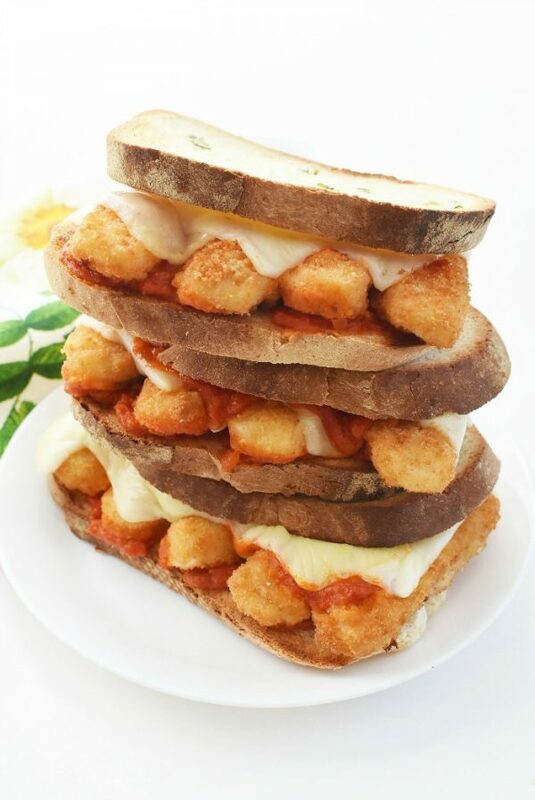 Served on a toasted, garlic-brushed bread; this sandwich is a delicious gem! Cook Fish sticks according to the package instructions. While the fish sticks are cooking, brush each side of the bread with butter, garlic powder, and herbs. Bake in the oven for 3 minutes per side alongside the fish sticks. Remove from oven once toasted. Once the fish sticks are done, remove them from the oven. Line 4 slices of bread with an even amount of sauce (only use half of the sauce). Line sauced bread with 4 fish sticks each. Top with 2 pieces of cheese each and a little more sauce to each. Place the 4 extra slices of bread over the tops and add the sandwiches to the warm oven. Allow cheese to melt (about 3-5 minutes) & enjoy warm! Love a Good Prize? Enter the Gorton’s Lent Sweepstakes! Want a chance at possibly winning some amazing prizes? Head on over to the Gorton’s Lent Sweepstakes! You can learn more about the fabulous prizes and read the official rules on the Gorton’s Sweepstakes Page. Previous Post: « PetArmor Plus for Small Dogs- Does it Work? Whenever we make fish sticks or fillets, it’s always Gorton’s. They have the best seafood around. I love these melts for something really out of the ordinary in our home! Your sandwich looks so good! I’m going to have to try this! Amy, this is a stupendous sandwich I gotta learn how to make. Bravo! This reminds me of something we used to have called “fishwish.” I am guessing it was really fishwich and we were supposed to have it on bread. Wow. This looks tasty! I like sandwich with cheese and anything. This is perfect for me!